Big news! We are very pleased to announce the East Bend Public Library as the North Carolina Digital Heritage Center’s 150th content partner. 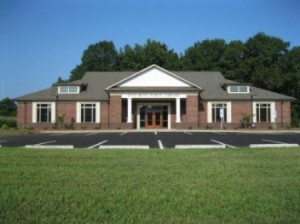 The library, part of the Northwestern Regional Library system, is located in the Yadkin Valley town of East Bend (named for the east bend of the Yadkin River). The Digital Heritage Center worked with the East Bend Public Library to digitize a scrapbook documenting the celebration of the town’s centennial in 1987. The volume contains a wealth of information about local and community history, including photos and clippings about churches, businesses, schools, and organizations. It’s a terrific resource for anyone interested in exploring their own history in East Bend or looking to learn more about the community. We are thrilled to be able to share the history of East Bend as well as the images and memories of the communities represented by all 150 of our partners. We’re looking forward to continued work with these important cultural heritage institutions and at the same time we’re eager to work with the next 150. View a map of all of the Center’s content partners online at http://www.digitalnc.org/institutions/. If your library or community is not yet represented there, get in touch with us and we’ll talk about how we can help.